Some great tips here when it comes to prenup agreements. 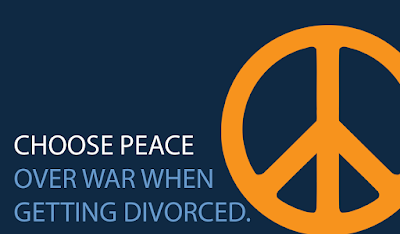 It can be a difficult process to go through and might seem unnecessary - you don't want to think about potential divorce right before marriage! But it's good to have an agreement set up. I can really see how important a prenup is after reading through this article. In the last paragraph in the italicized text, you say having that prenup would have mitigating those legal fees and issues from happening from the start if they just had the proper prenup before their divorce. Sure, people don't think about divorce and never think it's possible when they're getting married at first, but having it just in case as you get married is essential with the potential repercussions if you don't have one. So my question is, how can you bring up a prenup before you're getting married to your future spouse when it's assumed that divorce isn't even possible in the minds of two people getting married? Thank you for your comment and question. Many find it difficult to bring up the possibility of a prenup when planning for the happy event of a marriage and feel that it might present a damper on the festivities. However, prenups are simply about thoughtful planning. Many people will plan their wedding for a year (even though it's a one day event), but don't want to spend time planning what their life after the wedding will be like. Just like estate plans or life insurance, prenups help people plan for unexpected events. And just like estate plans many people avoid them because they don't want to think about the possibility of those events. When discussing the possibility of a prenup with a client I like to point out that they are not just about divorce. Prenups help plan the financial relationship of two people throughout their marriage and through its end point, whether through death or divorce. Planning can be a helpful tool in having parties understand their financial plan and be on the same page about it when getting married. That type of financial planning might just prevent divorce.